About 52% of Americans say that they’ve tried marijuana before. If you’re among them, you may have questions about overdosing on weed. 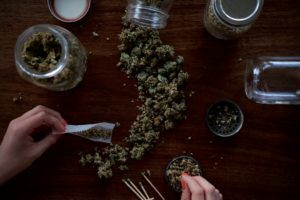 Whether you use marijuana recreationally or for a medical purpose, it’s important to get your facts straight when it comes to marijuana and addiction. So, can you overdose on marijuana? And do you know someone who wants help stopping their use of marijuana? We’ll tell you what you need to know in this post. As of this writing, marijuana is currently legal in ten states. But just because it’s legal, doesn’t mean that it’s 100% safe. After all, alcohol is legal for those over 21 years of age, and it accounts for close to 90,000 deaths each year. So, can you overdose on marijuana? In short: it’s extremely unlikely that you will ever suffer a fatal overdose from marijuana. So, how much weed does it take to overdose? You would have to use about 40,000 times more than the standard marijuana overdose to die. Keep in mind we’re talking about a fatal overdose here — that’s different than taking too much. Let’s talk about the common signs that you or someone you care about has developed some sort of a dependency on marijuana. These are also signs that they’ve smoked far more than they should have. They may have an increase in anxiety and paranoia. In some cases, especially if the marijuana has been laced with other, harder drugs, they may also hallucinate or experience delusions. You may also notice that your loved one has withdrawn completely from their social life. They just no longer seem to do the things they once loved, and they’re isolating themselves. They seem even more depressed than usual. Additionally, their sleeping patterns have become erratic. They seem exhausted, lethargic, and unmotivated nearly all of the time. Their eyes are always bloodshot, and they even slur their words when they’re speaking with you. Here’s an important point that influences marijuana dependency. Especially as recreational marijuana becomes more and more popular, growers are creating strains that are higher in THC. This means that users will often get much more THC than they might be used to having. This can mean that you need to smoke more in order to get the same effects you once did. The real focus should be on whether or not it’s possible to develop an addiction to marijuana — which it most certainly is. Are you concerned that yourself or someone you care about has a marijuana addiction? We can provide the treatment, detox, and rehabilitation services your loved one needs to get back on track. We invite you to schedule a tour with us to learn more about what we offer.